Genevieve Barry of Kalispell passed away on July 23, 2018.
brother attended St. Matthew's Grade School and graduated from Flathead County High School. When she returned to Kalispell, she met Ralph J. Barry and they were married on May 5, 1948. Their daughter Lorraine was born in 1951. As a stay-at-home mom, Genevieve enjoyed sewing club, and volunteering for St. Matthew's School and Altar Society. The family moved to Libby in the early ‘60s, where Genevieve worked for Dr. James Lusher, and at Gamble's Hardware Store. She was also active with St. Joseph's Church. When Ralph left logging in 1980, they moved back to Kalispell and bought their dream house, where they spent their retirement, with Genevieve enjoying her hobbies of sewing, crafting, gardening and spending the summer months with her visiting granddaughters, Charlene and Allison, passing on her skills, and sharing the beauty and joy of Montana. In the winter months she and Ralph became "snowbirds," traveling south (often in the company of other family and friends) to explore the geology and hiking trails of Arizona. She also traveled regularly to visit family in Oregon, Georgia, Washington and Hawaii. 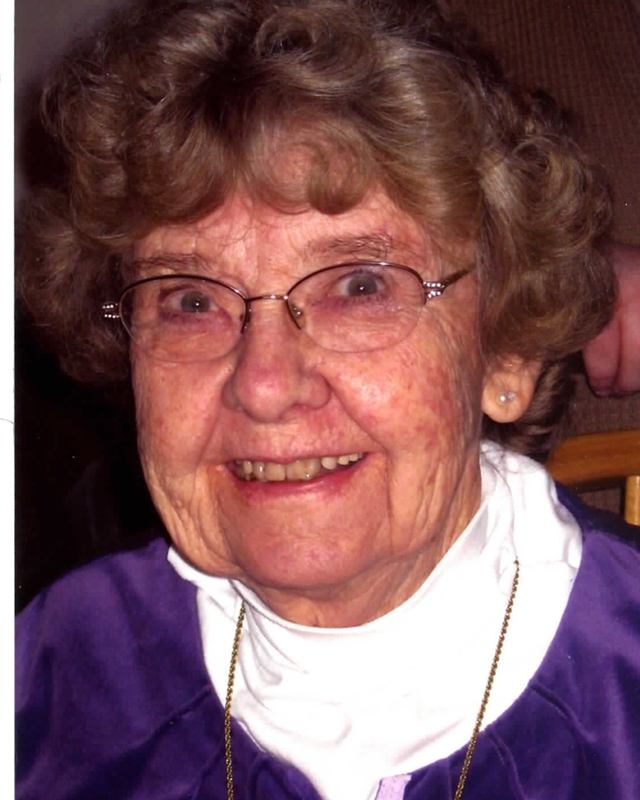 She was an avid swimmer, and enjoyed making many friends at The Summit pool. She was preceded in death by her parents, Tom and Helen Gonsior, husband Ralph J. Barry, son Ronald Barry, and brother Bobby Gonsior. She is survived by her daughter Lorraine Busch (Tom), granddaughters Charlene Hamilton (Scott) and Allison Brakefield (Nathan), great-grandchildren Kristopher Lancaster, Corrina Biggs, Mirriarr Hamilton and Morgan and Connor Brakefield. She also leaves behind her sisters, Betty Dahler, Joan Neils and Rosemary Forsyth, her sister- and brother-in law Elaine and Wayne Moothart, and sister-in-law Lorraine Gonsior, and numerous nieces, nephews and their families. Services will be held 1 p.m. Monday July 30, at Johnson-Gloschat Funeral Home. Graveside services will immediately follow at Glacier Memorial Gardens. A luncheon will follow at the Eagles in Kalispell.